plug-and-play spec suites ready for business. To work effectively, produce more and live better means multi-tasking on a full-time basis. That’s the way business is done and life is lived in the 21st Century. Fortunately, 141 W Jackson offers the technology, the amenities and the environment to get it all done effortlessly. In this true, multi-tenant building with its wide mix of space and offerings and a neighborhood with an array of restaurants, entertainment and shopping waiting to be discovered, multi-tasking rarely feels like work at all. 1 110 11,469 $38.75 Gross - Highly visible retail/office space located on the 1st floor, 11’10” ceilings, 100’ of window line frontage on Jackson Boulevard, 60’ of window line up LaSalle Street, white box condition, interior landmark lobby frontage. 2 260 6,416 Rent ready CAT 6 wired spec suite with a statement brick wall, exposed beam and large windows facing West. Designed for 36 workstations, 4 private offices, 4 huddle rooms, 1 conference rooms, open collaborative kitchen, IT closet and reception. 13 foot exposed ceilings. 8 801A 19,028 Raised floor back office space. 10 1065 3,674 Rent ready CAT 6 wired furnished spec suite with views to the West. Designed for 14 workstations, 6 private offices, 1 conference room, open kitchen, IT closet and reception seating area. 11 1101 4,231 Recently updated with an open ceiling, paint and carpet. Raised floor with above standard electric. 11 1120 2,972 Raised floor former trading space. 12 1204 710 One room facing North on the atrium floor. 12 1260 5,892 Heavy office buildout with views to the west and elevator ID. 12 1270 337 Open room with window west. 12 1275 936 Corner suite with 2 sides of windows and raised floor. 12 1285 981 Raised floor suite with one office. 13 1300 32,576 Divisible full floor vacancy with views down LaSalle street. Sample test fit attached. 13 1340A 12,105 Available 3/1/2019 - Elevator ID, views to the South and West. 15 1550 7,527 Elevator ID, new carpet and dropped ceiling. 16 1609 1,137 Open space with 1 interior office and views north. 16 1650A 11,278 Raw suite ready for construction. Sample test fit attached. 16 1692 1,661 Rent ready CAT 6 wired furnished spec suite with nice window line. 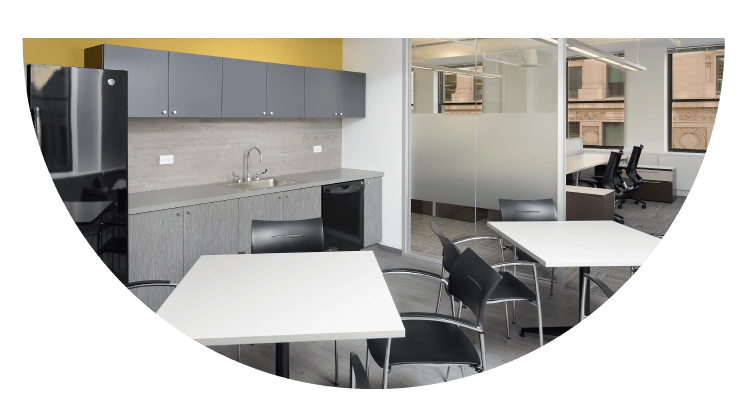 Designed for 16 workstations, 1 private office, 1 huddle room, open kitchen, and IT closet. 16 1694 685 Open suite with data closet. 16 1696 618 One room with two windows and small pantry. 17 1755 5,672 2nd generation spec suite with Elevator ID, exposed ceiling, reception, conference room, IT Closet, Kitchen, 2 offices and open space. Furniture available. 17 1790 4,917 Three sides of window line, mix of open space, closed offices, training room, interior restroom and kitchen. 18 1850A 8,380 Raw suite ready for construction. Sample test fit attached. 18 1860 9,834 Recently updated with open ceiling, new carpet and paint with Elevator ID. 18 1850A & 1860 18,214 Contiguous space. 19 1910 3,100 Spec Suite Under Construction – Available March 2019 – Rent ready wired and powered spec. Designed for 20 workstations, 4 private offices, 1 conference room, open kitchen, IT closet and reception seating area. 19 1930 2,912 Spec Suite Under Construction – Available March 2019 – Rent ready wired and powered spec. 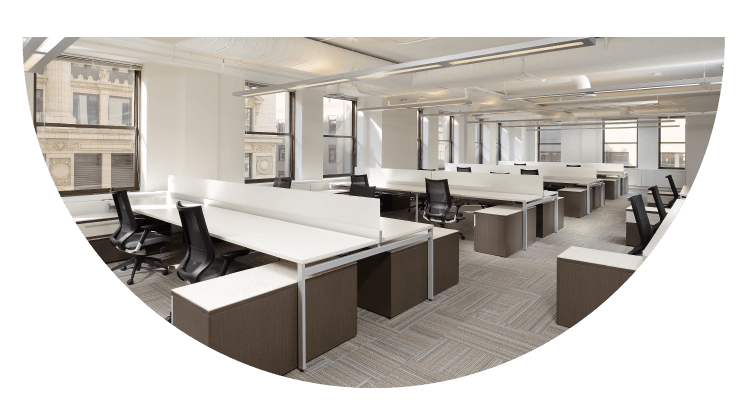 Designed for 22 workstations, 3 private offices, 1 conference room, 1 huddle room, open kitchen, IT closet and reception seating area. 19 1940 1,818 Spec Suite Under Construction – Available March 2019 – Rent ready wired and powered spec. Designed for 14 workstations, 2 private offices, 1 conference room, open kitchen, IT closet and reception seating area. 19 1950 5,277 Spec Suite Under Construction – Available March 2019 – Rent ready wired and powered spec. Designed for 36 workstations, 4 private offices, 2 conference rooms, 2 huddle rooms, open kitchen, IT closet and reception seating area. 20 2026 728 Open space with 2 exterior offices. 20 2042 4,376 Raw space, ready for construction. 20 2055 / 2040A 10,311 Elevator ID, new ceiling and lighting. Can be demised down to 8,356 RSF. 21 2130 2,718 Available 5/1/2019, 2nd generation space suite. 21 2170 560 Available 12/1/18 - Open reception area with an exterior office. 21 2176 853 Open office facing West. 21 2180 804 Open room with views West. 21 2188 922 Open room with views East. 21 2191 717 Open room with views East. 22 2225 447 Open room with windows to the East. 24 2400 5,660 Tower floor suite with fantastic views, elevator ID, 7 exterior offices, open space, storage and kitchen. 25 2532 2,661 Recently renovated to include new carpet, paint and dropped ceiling. 27 2704 518 Open space with a view North. 28 2845 1,041 Fantastic views with one office and open space. 30 3040 2,547 Available 1/1/19. Tower floor suite with views to the South and West, conference room and kitchen. Furniture available. 30 3050 2,070 Available 1/1/19. Tower floor suite with views to the North and West, conference room, kitchen and IT room. 33 3332 447 Recently renovated suite with new carpet, paint, lighting and exposed ceiling. Ready for occupancy. 34 3402 1,987 Tower floor with great views, open space, IT closet and small kitchen. 37 3706 1,219 Available 5/1/2019 - Elevator ID, views down LaSalle Street, small kitchen with 1 office/conference room. 37 3725 679 Available 12/1/2018 – Tower views East and South with 1 large room. 37 3732 355 Open room with a view South on a tower floor. 38 3805 560 Available 12/1/2018 – Closed reception area with larger exterior office with a view North on a tower floor. 40 4010 525 Elevator ID, views down LaSalle Street, small office leading into a larger office. 40 4020 953 Available 2/1/2019 - Tower floor views to the East and South. 41 4102 1,009 Available 5/1/2019 - Tower view suite with one office. 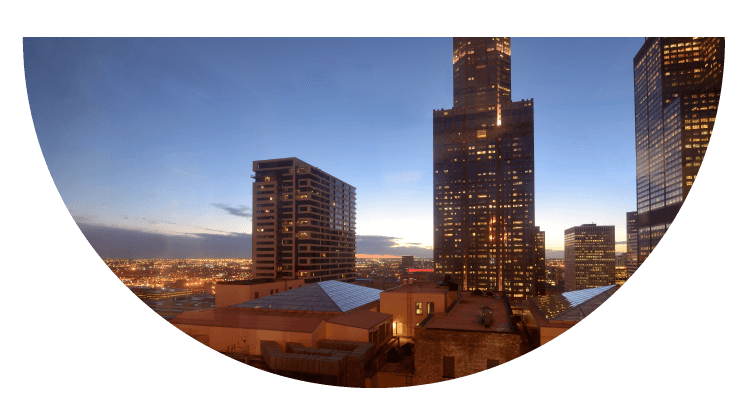 41 4105 364 Available 2/1/2019 - Tower view suite with open space. A A20 3,025 Medical/Office suite, lower level with existing plumbing and X-ray room. With a building population of more than 5,000 and an active pedestrian corridor connecting Van Buren Street to Jackson Boulevard, the historic 141 W Jackson puts companies and their brands at a bustling urban intersection that’s rich with opportunity and primed for change. Progress begins with movement. Make your move.